Germany, which has the largest delegation to the European Parliament with 99 seats, will vote on June 7, along with a number of other countries. Unlike most other large countries, Germany’s delegation size will not be reduced, as it had 99 MEPs at the time of the 2004 election. Germany uses a nationwide constituency with a 5% threshold for seats. However, there is a regional element in that parties may run purely regional list, multi-regional lists, or national lists. At the time of the 2004 election, the Social Democrats (SPD) under Gerhard Schröder were the largest party in a Red-Green coalition. At the time, Schröder’s SPD was massively unpopular and trailed the opposition Christian Democratic Union (CDU) and its Bavarian sister, the Christian Social Union (CSU) by a wide margin. The SPD narrowed the gap with the CDU-CSU later and was only narrowly defeated by the CDU-CSU in the September 2005 federal elections. As a result, Angela Merkel (CDU) became Chancellor of a Grand Coalition government with the SPD. New elections are due in September 2009. The 2004 results represented the SPD’s lowest point since 1945. These lost votes went mainly to the Greens, who won their best European result ever and also the Linke.PDS, the post-communist party based in East Germany. The votes for the CDU/CSU also fell from a highpoint in 1999, allowing the liberal FDP to win seats for the first time since 1989. Since I miss the Weimar parties, I’ll note that the Catholic Zentrum (which used to be one of Weimar’s main parties and a basis for most government) polled 0.1% of the votes. The SPD can only improve on its disastrous 2004 result. However, the governing CDU-CSU is still far ahead of the weak SPD in national polling. Angela Merkel’s CDU has been the one benefiting from the government’s good decisions, even if they may have been made by SPD cabinet ministers. The CDU-CSU, which won 44.5% in 2004 has obviously seen it’s share of the vote dip to roughly 37-39%, to the benefit of the SPD, which has rebounded to 25-28%, a relatively weak rebounce considering how poorly it did in 2004. It will be hard for the Greens to hold their nearly 12% of the vote, though polls indicated they should either dip slightly to 10-11% or hold steady at 12-13%. However, polls tend to overestimate the Greens, though they also overestimated the CDU-CSU and SPD in 2004. The FDP and Linke closely follow each other, though the liberal FDP, on an upswing these days, is at 9-10%. Polling 9 or 10% would the FDP’s best Euro result ever. Linke would also have it’s best result (though they’re only running in these elections since re-unification), with polling indicating around 7-8%. In terms of top candidates, the CDU and SPD have unsurprisingly picked some big names: Hans-Gert Pöttering, the President of the European Parliament, for the CDU and Martin Schulz, the leader of the PES caucus for the SPD. The Greenies, FDP, and CSU have opted for MEPs, while the Linke top candidate is a Bundestag rep, Lothar Bisky. Bisky immigrated to East Germany at 18. An interesting situation may be arising in Bavaria, regarding the 5% threshold. The threshold is a national threshold, so the CSU needs to break 5% in Germany as a whole rather than in Bavaria alone. Current polls all put the CSU at 6% and a poll just in Bavaria puts them at 44% there. While it is unlikely the CSU will drop below that, it is a possibility for the first time ever. Indeed, the Freie Wähler, the independent coalition which ate up a lot of CSU votes in 2008 is running, with its top candidate being the former CSU maverick Gabriele Pauli. Pauli notably supports the transformation of marriage into a seven-year renewable contract. These elections are widely seen as a major test for the CDU-CSU in the run-up to the September federal elections. The CDU wants to end the Grand Coalition with the SPD and return to a traditional right-wing coalition between the Christian democrats and the FDP. The SPD optimally wants a new Red-Green coalition with the Greenies, though it is extremely unlikely the SPD and Greenies will win a majority together. The question is whether the CDU-CSU and FDP will have a majority or if another Grand Coalition will be necessary. Party analysts and media talking heads will obviously tally up the votes in this election in an attempt to answer that, even though Euros are different than federal elections. My final predictions, less than one week before voting opens officialy in a few countries on June 4. This post is especially long. In European political news today, David Cameron of the British Tories has confirmed that he will attempt to form a anti-federalist liberal group in the new Parliament. So far, the Polish Law and Justice and Czech ODS have confirmed their adhesion. In addition, a number of other parties may be interested. In fact, only the Tories, PiS and ODS would not be sufficent to form a group. A group needs atleast 25 MEPs from atleast six different countries. While the Tories only break 25 alone, they need MEPs from three other countries. So far, Lijst Dedecker from Flanders (NI), the Lega from Italy (UEN), the DFP in Denmark (UEN), the Dutch PVV (NI) and parties from Latvia and Lithuania (UEN) are names being mentioned for potential members. The foundation of this group, which will probably be named European Conservatives (a name used by a similar group in the pre-election days, 73 to 79), will probably kill off UEN and probably Independence and Democracy. This is my second post on the European elections in France, being held on June 7. In my first post, I outlined the candidates for the main parties, where information was available. Île de France: Patrick Le Hyaric (PCF), PCF leader in the Morbihan and director of L’Humanité. Led the PCF list in the Ouest in 2004. Nord-Ouest: Jacky Hénin (PCF), MEP for the Nord-Ouest, former Mayor of Calais. Sud-Ouest: Jean-Luc Mélenchon (PG), whiny sod. PG leader and PG Senator for Essonne. Ouest: Jacques Généreux (PG), anti-liberal leftie economist. In the DOM-TOM constituency, the Left supports a “independent” Overseas Rally list which includes Madeleine de Grandmaison, MEP. Grandmaison was the second name on the 2004 Overseas Rally list led by the Reunionese Communist Party (PCR) leader Paul Vergès which won 28% of the vote in the constituency and one seat. Vergès resigned his seat in 2007, giving it to Grandmaison. The list is led by another PCR pol, Elie Houarau, a former MP. The negotiations with the Alternatifs and the MRC have failed, but the Left will include the Christian Picquet’s pro-union NPA faction, represented by Michèle Ernis (number 2 in Nord-Ouest), and the CAP, a smallish party founded in 1994 by reformist Communists, ecosocialists, Trots and the like. It’s relevant in the Val-de-Marne and Haute-Vienne. Patrick Charles of CAP will be number 2 in the Massif Central-Centre. Carl Lang, FN MEP for the Nord-Ouest will run a dissident FN list called “Parti de la France” (PDF) and Jean-Claude Martinez, FN MEP for the Sud-Ouest will run a dissident FN list supported by the PDF. The FN will not run a list in the Outre-Mer region. I posted the Green-Europe Ecologie candidates in my last post, but we’ve got new Greenies on our radar. 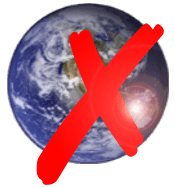 This is the Independent Ecological Alliance (AEI). The AEI is the other ecolo alliance formed by Waechter’s centrist MEI, the remnants of Lalonde’s Ecology Generation (GE, once the main French green party with the Greenies themselves) and the France en action scientologist/raëlian kooky sect. Its candidates include Waechter (East) and a slightly insane old signer, Francis Lalanne in the South-West. Before people go crazy over the AEI, a few notes. On the 23rd spot on Lalanne’s list is Jean Brière, a former Greenie expelled for being anti-semitic and I think holocaust denier. People have also accused Waechter and the MEI of being closet far-rightists. He’s also very egomaniacal, even by French standards. The UMP was the last major party to finalize their full lists. The UMP took a long time because the UMP is run by Nicolas Sarkozy and he does the lists, more or less. In addition, the UMP has needy allies to please, most notably the New Centre, which stood no chance alone. I show only the top 5 in each region. 5 – Philippe Juvin (Hauts-de-Seine): Mayor of Garenne-Colombes and VP of the CG92. 4 – Agnès le Brun (Finistère): Mayor of Morlaix and Finistère general councillor. 1 – Dominique Baudis (Haute-Garonne): Former UDF Mayor of Toulouse and deputy. 1994 UDF-RPR list top candidate. 3 – Arnaud Danjean (Saône-et-Loire): Ran against Arnaud Montebourg in ’07. 4 – Michèle Striffler (Haut-Rhin): Adjointe to the Mayor of Mulhouse. Modern Left. The UMP managed to please its allies with the spots they were promised or demanded. The NC managed to get a good spot for Damien Abad in the Sud-Est. They also got eligible spots in IdF with Cavada and a third one in the Massif-Centre. The Radicals managed to the top two spots in the Nord-Ouest and the second spot in the East. For the Modern Left, only Striffler and Gallo could win seats. 2 MEPs for such a small party would be excellent. The Progressives of Eric Besson gets only a thirteenth spot in IDF, though Xavier Bertrand insists that it’s because Besson didn’t ask for more. The Forum of Social Republicans, Christine Boutin’s joke party got seventh spot in IdF. The UMP has been transforming into a bit of a French version of the Italian Popolo della Libertà (Berlusconi’s power-machine) with Sarkozy’s quasi-complete control over the party and plastering his face on electoral posters (a la Berlusconi). The Socialists were able to prevent yet another civil war from erupting over the lists in the Centre region, which voters in the Limousin had rejected. In the end, Laurent Lafaye, the general secretary of the PS federation in Haute-Vienne got third spot over the Mayor of Aurillac in the Cantal (Auvergne). Not that it really matters, since the PS will have to fight to keep the third seat. The PS campaign has failed to gain any speed, and its attempts to incite people to vote “usefully” have failed epically, partly because this is an election by proportional representation. As always, the Socialists have turned to their usual empty rhetoric about l’Europe sociale and la république sociale (yes, despite the uhm, connotations of the term Social Republic). The MoDem could emerge quite happy out of these elections, due to a variety of factors. On one hand, Bayrou’s hyprocrisy actually convinces some, as Bayrou the centrist is now showing himself off as Bayrou the historical Gaullist. Of course, the French centre has been the most pro-European and pro-NATO party since the days of the Fourth Republic, and the French centre (called the Democratic Centre, CD, back then) voted in favour of a Socialist no-confidence motion presented in response to Charles de Gaulle’s decision to withdraw from the NATO command in 1966 (which France has recently rejoined of course, in the largest ball of hypocrites since I don’t know when). Bayrou, who, as JibJab would say, offers more waffles than a house of pancakes, escapes from scrutiny as a flip-flopper, liar, and hypocrite since the media likes the anti-establishment rebel. Even if said rebel was a proponent of the pensée unique during the 1990s. Of course, the MoDem’s success is not only based on Bayrou. The MoDem has kept the voter base of the old UDF, while the parliamentary caucus is now largely New Centre-UMP. In addition, it has profited from the isolation of the old Christian democrats within the UMP, the internal struggles within the PS, and the left-wards trends of the Greenies (and by consequence losing their centrist voters to the MoDem). There are a ton of other parties running in this election, parties which nobody hears about. Notably, the Basque EAJ-PNV-PNB is running the Sud-Ouest, and there is also a Batasuna (aka ETA) list there. In the Ouest, the Breton Party, a centrist/social liberal party supporting Bretagne’s independence from France is running. In a number of regions, the old National Centre of Independents and Peasants (CNI) is running independently, a first since probably the ’60’s. The CNI, which used to be the main right-wing party in France between 1945 and 1960 was destroyed by Gaullism and has since fluctuated between the actual far-right and the right-wing of the right. For example, it elected a number of MPs on the FN’s lists in 1986 but developed a close alliance with the RPR shortly thereafter and was an “associate party” of the UMP. Meaning a fringe party which isn’t UMP but nobody knows or cares about. The Liberal Alternative (AL), a libertarian/classical liberal outfit is running in all regions (as far as I know). The Royal Alliance (AR), a souverainiste Royalist party which polled 0.03% is running everywhere, providing some people with a good laugh. In Ile-de-France, the anti-semite/anti-zionist “humourist” Dieudonne is running a “anti-Zionist” thingee. Apart from these, you have your usual maniacs running. This long list includes Stalinists, official joke candidates, weed-legalization outfits, Humanists, people who want a negative economic growth, and anti-politician outfits. On a side note, political parties must print their own ballots as they are not provided by the state. Despite running, certain parties are unable to print these ballots and they tell their voters to download them off the interwebs, print them, and cut them out according to the official regulations. The European elections are also an arts-and-crafts project! For example, the Royalists only offer their ballots online since they have no money. The Breton Party will have ballots in all five Breton departments and offers voters in other departments in the constituency to print them out. Polls have been coming out like crazy these past few days, but I’ve got my preferred stock of pollsters. I usually post the polls on Wikipedia personally, so you can look there for all polls. Here are the pollsters divided into categories of how good they are (or not). Ipsos, no questions asked, is the constant top pollster, despite problems here and there. Ifop is quality, though they’ve been coming out with weird numbers this season. Below this, you see a marked drop in quality. TNS-Sofres and BVA. Both are okayish-to-mediocre pollsters, with rather mixed records. TNS-Sofres has been going downhill in recent years. OpinionWay is often favourable to the right. It does its polls for Le Figaro, a right-wing daily. LH2 and Viavoice, which are close to the left. Both are rather untested. CSA. Total junk. Its last poll in April 2007 was total junk, and they show no signs of improvement. They significantly overestimate the far-right nowadays, due to them using unholy weighting techniques to avoid a new 2002 humiliation. Ipsos, compared to their last poll. Major parties always tend to drop in the last few days. In 2004, the PS dropped from about 30-32% to 28-29% (its actual result) and the UMP dropped from 20-22% to 16-17% (actual result was 16.6%). Smaller parties are the main benefactors of this drop. Euros are the only elections in France where average turnout is below 50%. In 2004, 57% abstained (the highest rate ever) and is unlikely to show any drop this year. In fact, it will only continue its current drop, and abstention will probably break 60% this year. In regards to this poll, I think the Left Front (PCF-PG) will be the main surprise in this election and I would certainly not be shocked if they ended up ahead of the NPA. The Left Front has led a modern, dynamic, and interesting campaign. However, the PCF, despite being an anti-EU party (anti-European voters being the most likely to abstain), the PCF’s old voter base, albeit much reduced these days, has above-average turnout in every election and should be no different this time. On the other hand, the NPA is probably the most volatile of all electorates and also the most likely to stay home. In addition, the PCF maintains the remnants of a long-standing close relationship with industrial and manual workers, and the economic crisis should improve the PCF’s standing in that category. The French Trotskysts, on the other hand, have never attracted mass labour, and Besancenot’s ways are more and more unpopular, workers see him as exploiting their problems for his own personal gain. Lastly, while the Left has led a good campaign, the same can’t be said of the NPA. Their candidates are a bunch of political novices and nobodies, and the NPA is more interested by acting like clowns in the streets than electing MEPs. I will shock people with this hypothesis now. Electorally, given the method of PR used here (highest averages) the real threshold is actually 6% (in the largest seats) and probably something like 15% in the 3-seat Outre-Mer (and around 10% in the Massif-Centre) in most seats. The NPA not getting any seats due to the PCF polling strongly, the LO acting as a spoiler, and a ton of other problems wouldn’t surprise me much. Though I still think they’ll get something, 0 NPA MEPs would not be surprising, really. In a number of regions, they’ll be fighting the PCF-PG to come out on top of that little game, and if the PCF-PG comes out on top in most of these games (in larger constituencies), the NPA will be killed. If, on the other hand, the NPA has a good night (unlikely) and the PCF-PG trails them in most regions, then the Left could be killed. I don’t think any of the small lists will surprise anyone. The plethora of angry raving Gaullists running here and there will fall flat on their faces. LO will poll 1 or 2 percent though these votes could certainly prevent the NPA from getting the final seat in a few constituencies, especially if the final seat is a close race. The AEI will poll in the 1-2% range, and might steal enough votes from Greenies in some places to prevent them from getting a seat. The performance of the We Hate Marine Le Pen gang will be interesting, though they’ll poll pretty badly due to poor name recognition, lack of structure/grassroots, and people not really knowing them (especially in the Nord-Ouest: voters will choose between Marine Le Pen, which they’ve heard of before and Carl Lang, who probably has 2/3 of voters having no clue who he is). The assorted Jew-haters will poll 1% and people will go back to ignoring them, rightfully. On a side note and little extra, Ifop recently conducted a poll for the Catholic daily La Croix in regards to Catholics (in the French context, meaning observant Catholics) and atheists. Here are th slightly amusing results. And now the atheists, also amusing. The national poll was UMP 26, PS 21.5, MoDem 14, Greenies 8, FN 7.5, NPA 7.5, Left 6.5, Libertas 5. Mongolia held presidential elections on May 24. Mongolia’s Presidency is largely ceremonial, so this election was symbolic. In 2008, the ex-communist Mongolian People’s Revolutionary Party (MPRP in English) won a majority of seats in the State Great Khural (coolest legislature name ever, obviously) in a disputed election. The Democratic Party (DP), a social-liberal/social-democratic party, which had formed a coalition government (the DP obtaining the Premiership) with the MPRP between 2004 and 2006, was soundly defeated. Sanjaagiin Bayar became Prime Minister. In 2005, Nambaryn Enkhbayar, the leader of the MPRP was elected President, defeating quite easily Mendsaikhany Enkhsaikhan of the Democratic Party. This year’s election opposed the incumbent, Nambaryn Enkhbayar, to the leader of the DP and ex-Prime Minister, Tsakhiagiin Elbegdorj. Elbegdorj, who was educated in the United States (Harvard) campaigned on a “urban liberal” anti-corruption platform. Elbegdorj was able to build a coalition including other (much smaller) opposition parties, such as the Civic Will Party and the Greenies. To my surprise, Elbegdorj defeated Enkhbayar. In another good sign, Enkhbayar quickly conceded defeat. In 2008, weeks of political unrest followed the legislative election, which the DP claimed was rigged. Mongolia probably counts white and null votes in the actual total, so that explains why these don’t add up to 100%. I don’t think they have a Eastern Europe-style “against all” option, but I may be wrong. Elbegdorj won this election the cities, such as Mongolia’s capital, Ulaanbaatar. While the MPRP continues to dominate in rural Mongolia, which has been the party’s traditional base, the DP won big in Mongolia’s urban districts. Elbegdorj won over 55% of the vote in Ulaanbataar city. The German Federal Assembly elected the ceremonial President of Germany yesterday. The Federal Assembly is composed of 1,224 members of which 612 are from the Bundestag (lower house, Federal Diet) and the other 612 are from the sixteen German Länder. The members for the Länder are chosen by the respective Landtags and each Länd has a number of seats proportional to its population. Incumbent President Horst Köhler (CDU) was elected in 2004 by the first round, when the CDU-CSU and the FDP controlled a majority of the seats. This year, the CDU-CSU and FDP lost their majority, though the 10 Bavarian Free Voters pledged to support Köhler. The SPD nominated Gesine Schwan, its 2004 candidate, while the Left nominated TV actor Peter Sodann and the two Nazi parties nominated Frank Rennicke. Köhler was re-elected by the first ballot with 613 votes, which is the majority mark. This is not really supposed to be a surprise or anything, nor is it anywhere close being a “test” for Angela Merkel and the CDU before the September federal elections. One might count it as a symbolic victory, but even that is streching it. Swiss voters dealt with two referendums yesterday, both of which were approved on minimal turnout (38%). Below is a map of the vote. It sure looks like Swiss Francophones love alternative medicine, ultra-conservatives in Schwyz not so much. Vote 542 was the approval of the introduction of biometric passports. I tried hard to find something in this map ressembling a political pattern, but I haven’t found anything that explains the alternative medicine-lovers in Geneva and Jura voting the same way as the rural ultra-conservatives in Schwyz and Uri. The best I can give is that low turnout creates weird results. Grybauskaitė’s role is ceremonial, but she was popular due to her status as an “outsider” in the local political scene in the country, which has seen a number of corruption scandals. A fourth referendum on adopting daylight savings time (DST) and a by-election in the state division of Fremantle were held today, May 16 in Western Australia. Today’s vote was the fourth vote on adopting DST after similar referendums in 1975, 1984 and 1992. In 1992, the proposal failed, with 53% voting against the adoption of DST. As the results stand now, the referendum has failed once again, with 55.49% against and 44.51% in favour. As in 1992, the West Australian outback voted overwhelmingly against, with the NO vote reaching 84% in the Agricultural electoral region and 67% in the Mining and Pastoral region. Unlike in 1992, however, Perth narrowly rejected the proposal, with 50.3% against (53% voted in favour in 1992). Roughly 70% has been counted, but the YES count has remained relatively steady for quite some time, and it is extremely unlikely that there will be a massive YES push in the final votes. The defeat of DST is probably the final nail in the coffin for DST. 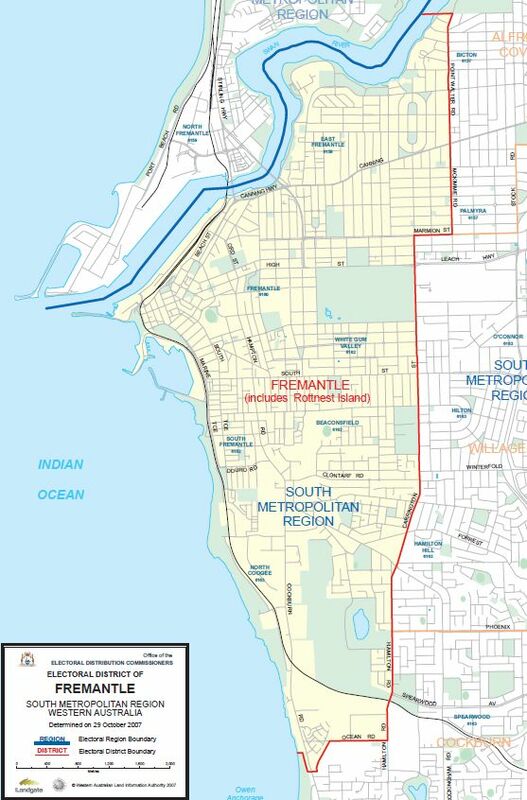 The division of Fremantle, located south of Perth and centred around the important harbour city of Fremantle held a by-election today following the resignation of its sitting Labor MP, Jim McGinty, who was Attorney General until 2008, when Labor lost government to the Liberals and Nationals. In the 2008 election, McGinty defeated the Liberal candidate 62-38 on the two-candidate preferred count, although on first preferences, McGinty was ahead of the Liberal candidate 39-30, with the Greenies performing very well (27.6%). Historically, Fremantle has been a solidy Labor seat, the ALP having held it since 1924. The electorate was once a very important (although it remains important even today) industrial harbour, and was at the centre of many labour disputes. Hurt by corruption, local divisions, and an evolving socio-economic situtation, Labor’s first preference vote total plumetted to 43% from its usual 60% range in the 1989 election and the ALP has never again broken 50% on the first count. The governing Liberals did not stand a candidate in this by-election, although Carmelo Zagami ran as a Liberal Independent. The main constestors were Peter Tagliaferri for Labour and Adele Carles, the Greenie who narrowly missed winning in 2008. After distribution of preferences (called 2PP in Australia, or Two-Party Preferred). Zagami, Ter Horst, and Wainwright directed preferences to the Greenie, and the other candidates directed preferences to the ALP candidate and Mayor of Fremantle Peter Tagliaferri. It is amazing how awful Zagami polled. It seems as if most Liberals followed his instructions to preference Carles, but a whole lot did so by giving her first preferences and not second preferences. This, compounded with historical Green strength in Fremantle gave the Greenies over 40% of the primary votes, a historical feat in Australia. This election is also a historic defeat for the ALP in Fremantle, after years of gradual decline.